Kdal Pasi range of products are all pure seaweed extracts and are 100% organic and safe to use for all plants. Seaweed naturally contains all macro, micro and secondary nutrients, amino acids, vitamins, proteins, carbohydrates and minerals needed for plant growth and soil health. 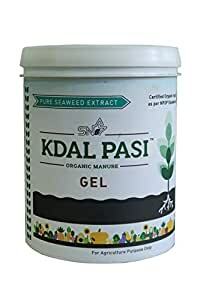 Kdal Pasi products are currently being used by farmers countrywide for crops such as paddy, banana, grape, mango, turmeric, coconut, tea, coffee, pepper, vanilla, vegetable plants and flowers.